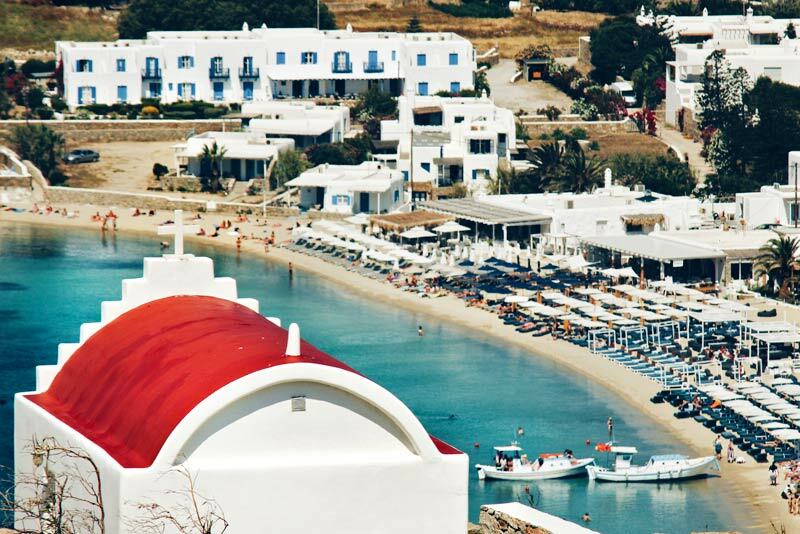 Hanging over mountain cliffs or washed by the sea in small lonely beaches, standing tall and proud over the harbor or lost within the labyrinth of the town’s small streets, churches in Mykonos are to be found all over the island! 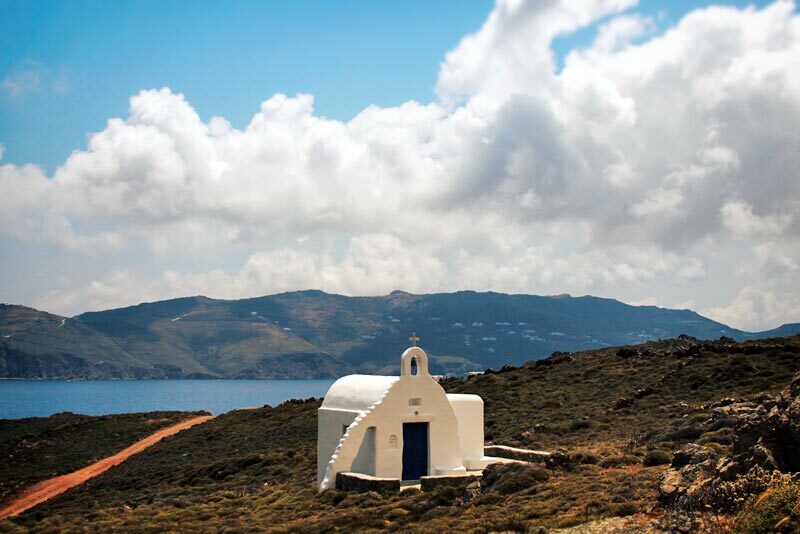 Some say that there are more of 800 worship sites on the island, from cathedrals to family chapels, and the locals still keep the tradition of building them as an act of faith and devotion. One thing is for sure: that on this small island you can find at least 365 “official” churches, one for every day of the year! 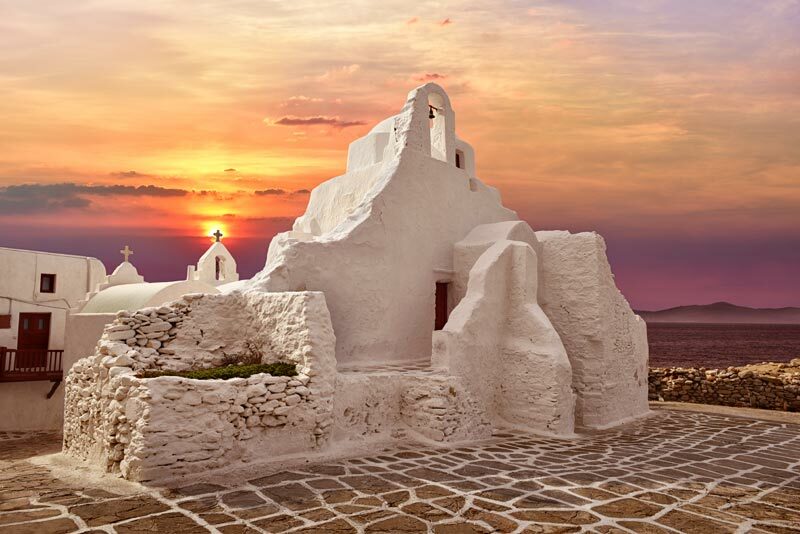 The oldest churches in Mykonos that belong to the primary Byzantine era are usually found in monasteries and have been declared as historical monuments by the Greek Ministry of Culture. The majority of the rest were built between the 17th and the 19th centuries while there are much newer churches that come in rather simple architectural forms, usually featuring colorful arched roofs. Regardless of your religion, once in Mykonos take some time to visit as many as you can because there is nothing more serene and mystifying than listening to the evening mass in an isolated, candle-lit chapel by the sea, where the sound of the waves is harmoniously tuned to the rhythmical chant.